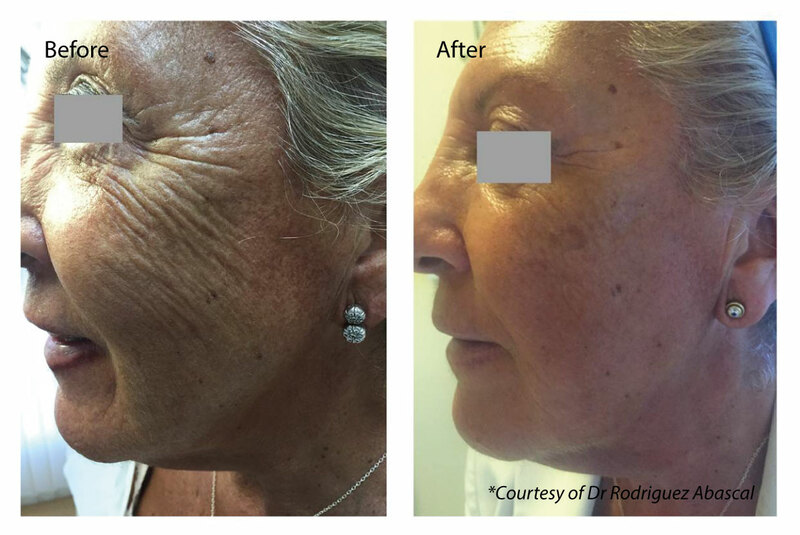 If you would like to rejuvenate your skin, treat sagging & loose skin and obtain a more youthful appearance for your FACE, NECK or HANDS our NEW TREATMENT -PROFHILO is the treatment for you! 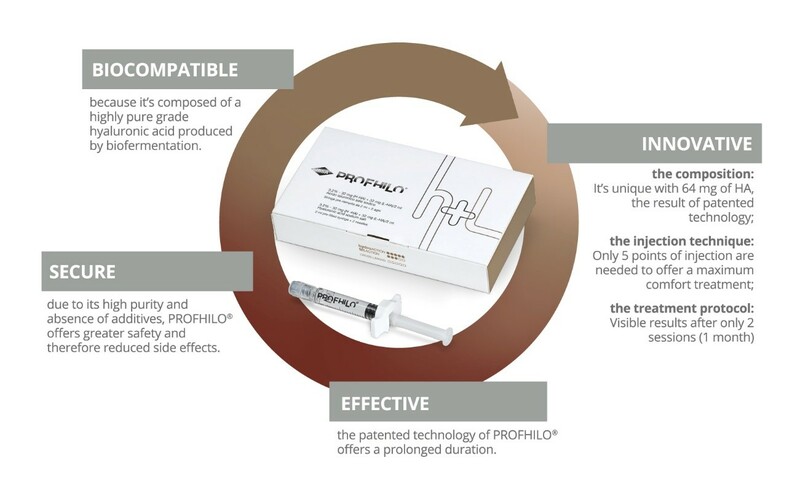 Profhilo is in between a skin booster and filler which delivers hyaluronic acid via a small syringe 3mm into the skin. The gel like formula spreads beneath the skin like honey, stimulating collagen and elastin and provides an instant, smoother, glowing skin, smoothing fine lines. 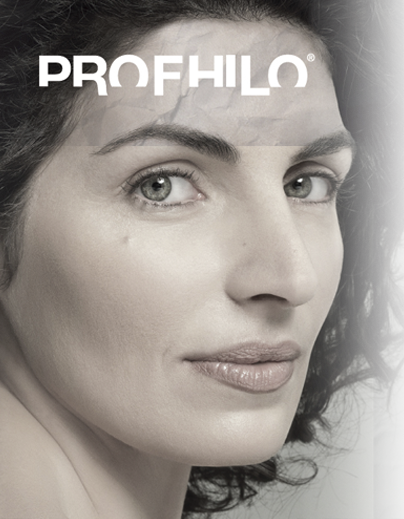 As a stabilised product Profhilo lasts in the skin around 28 days. During this time the stimulation of 4 different types of collagen and elastin takes place by slow release of Hyaluronic acid. The gel like formula acts in a way filler couldn’t, stimulating collagen and elastin and attracting water into the deeper layers of the skin. The stimulation results in significant tissue improvement. Therefore we cannot say that Profhilo is a skin booster as it also has a significant tightening / lifting effect on the tissue. Where can Profhilo be used? Profhilo is most commonly used for facial areas, but can also effectively be used for rejuvenating the neck, décolleté, arms, knees and hands. 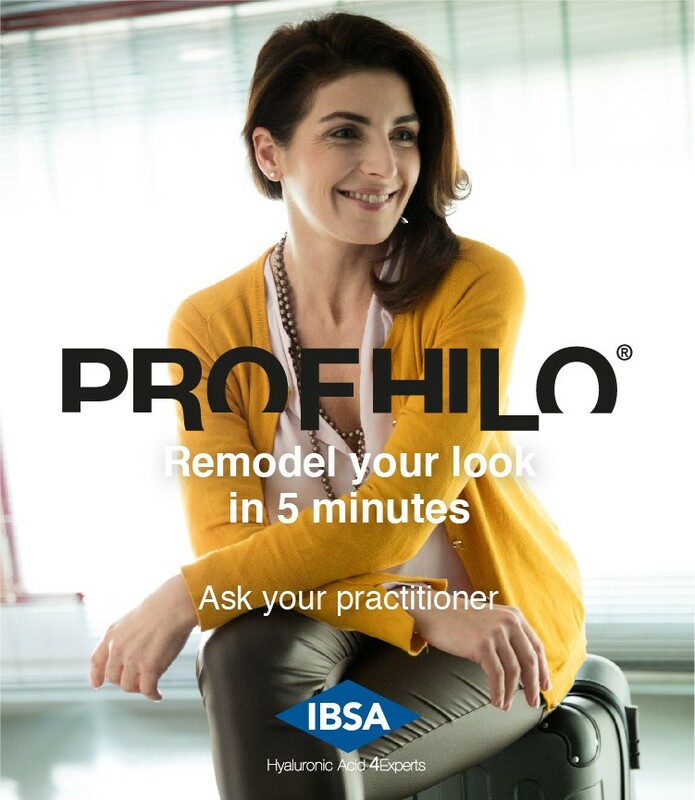 Profhilo delivers great results as a treatment on its own or in combination with other aesthetics treatments currently on offer at Dr Leah Clinics. After just a single course of Profhilo, which involves two injectable treatments four weeks apart, clients can expect to see an intense hydration. It makes the skin glow and fine lines can disappear. You’ll notice smoother, tighter skin. Even for those clients with wrinkled, creepy skin, an improvement in the texture is undeniable. The treatment can be repeated after six months in cases where more repair is desired. Are there any risks or side effects and what is the down time? Profhilo was launched in February 2015 in Italy. It’s been used worldwide ever since. Over 150,000 patients have been treated so far with no adverse reactions reported. 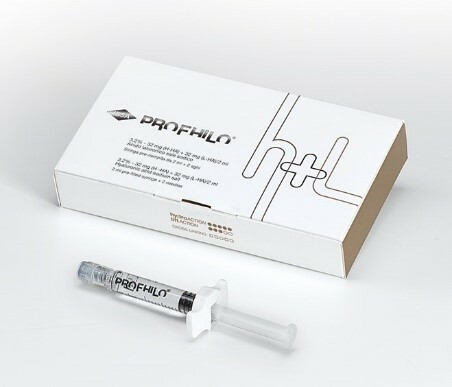 From a safety perspective, Profhilo is highly biocompatible. That’s because it is made from ultrapure, natural Hyaluronic Acid and is stabilised without the addition of chemical cross-linking agents. This reduces the risk of adverse reactions. The product has also won numerous awards. The downtime is minimal. When injected using the five-point technique on each side of the face, each insertion is immediately noticeable. However, they start diffusing very quickly and they disappear completely by next day. How quickly will I notice results? Optimum results from treatment will be visible four weeks after the course of Profhilo, which involves two injectable treatments four weeks apart. Clients can expect to see an intense hydration with glowing skin and fine lines minimised. You’ll notice smoother, tighter skin. Even for those clients with very wrinkled skin, an improvement in the texture is undeniable. From £500 a treatment (two treatments required) Introductory Offer for October Only £888 for a course of two treatments- Save over £100!! Book a FREE consultation with one of our doctors specialising in this treatment at our London or Essex Clinics. Call: 020 7877 5999 or email info@drleah.co.uk find out more. "Have you ever wondered why celebrities always appear to have perfect facial ratios?" 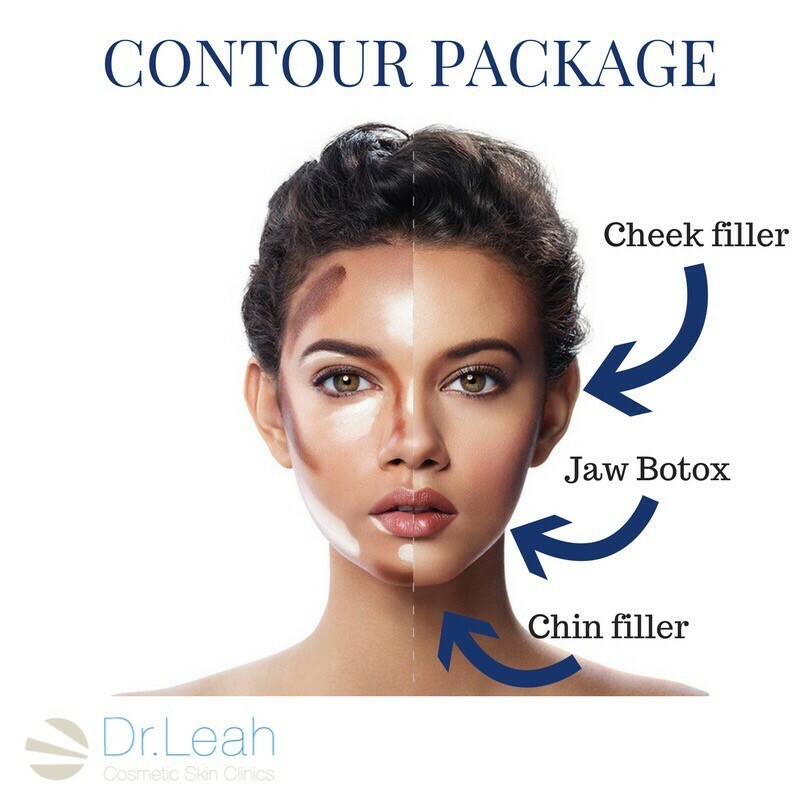 Here at the Dr Leah Clinic we are extremely excited to be able to bring you our very own COSMETIC CONTOUR TRANSFORMATION package. This is a unique combination of treatments put together to help you achieve the stunning contoured effect. After teaming up with our UK leading makeup artist Natasha Sandhu together we have designed a treatment to give you that sought after contoured effect without the hassle and time constraint of using palettes and make up every day! This treatment is created to achieve those striking Kim Kardashian cheek bones, stunning defined slimmer lower face and the perfect dainty chin. Giving the overall beautiful heart shaped features. Our expert doctors will enhance your features using Botox and dermal filler to give you the perfect ratios and make the most stunning version of yourself WITHOUT looking like you have had anything “done”. This is a technique used for facial reshaping. It can improve the shape of the face. Although a strong, square jawline can be sought after in a male it is not seen as feminine and many females desire a more soft and feminine shape. This is a quick, simple and easy technique with no down time to help achieve that attractive heart shape face. This procedure is used to lift and rejuvenate your cheeks, all without the need for surgical operations. We use facial fillers (made from natural gel) to improve the appearance of your cheeks and combat saggy, aged-looking skin. As you get older, you may begin to notice some sagging in the skin on your face. 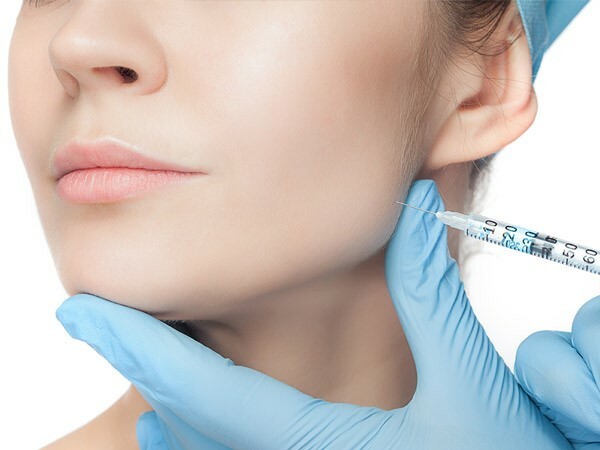 This is a common sign of ageing, but we can use dermal fillers to make your cheeks look a little fuller and reduce unsightly jowls and wrinkles. Alternatively, younger patients may simply desire more prominent/defined cheekbones. The chin can play a vital part in the overall image of your facial features. It is important for it to be the right size and shape to be in harmony with your other facial features to collectively contour the face. Introducing fillers to your chin can help us achieve balance to your other features on the face such as your nose and lips. It can also help with proportions and to elongate it to create that perfect facial shape. Once we have put all of these treatments together into one complete package for you it will achieve that desired contoured look for you leaving you looking slimmer and chiselled. We want to get you as Instagram ready as your favourite celebrity! So we have combined these three treatments to create a perfect facial contour package, which will optimise your facial shape and ratios and make you look the most beautiful version of yourself. Results: Full results in 14 days. Results last 12-18 months.